A site supported by a chatting tool can easily provide customer satisfaction to its viewers via live chat. Much more so if the chatting tool is an excellent one that can provide real time chat while ensuring its chatters of a spam free environment. 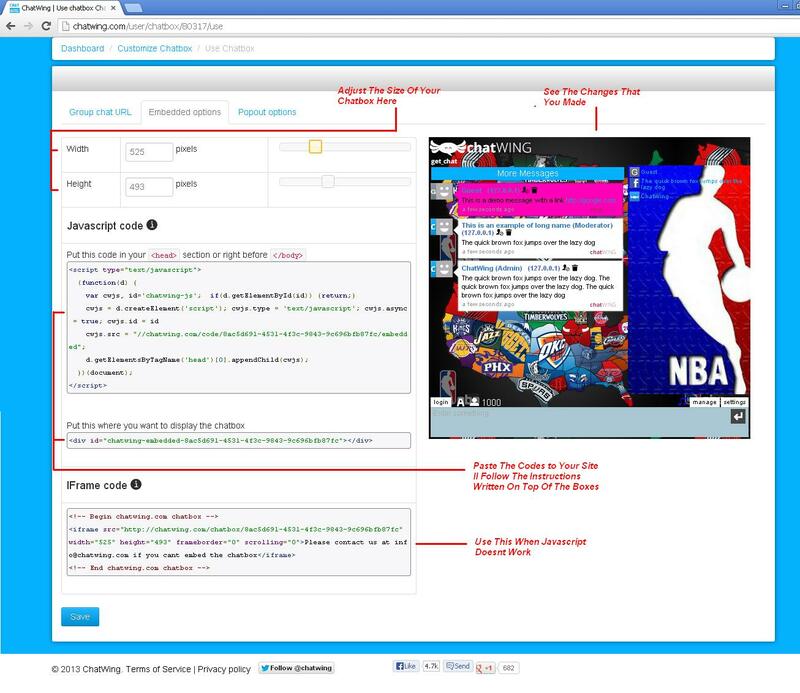 These are just some of the things that describe Chatwing chat software. If you’re looking for a chatting tool to embed on your site, then this one is the best option you’ve got – and embedding it is very easy too. First of all, you need to have a Chatwing account. 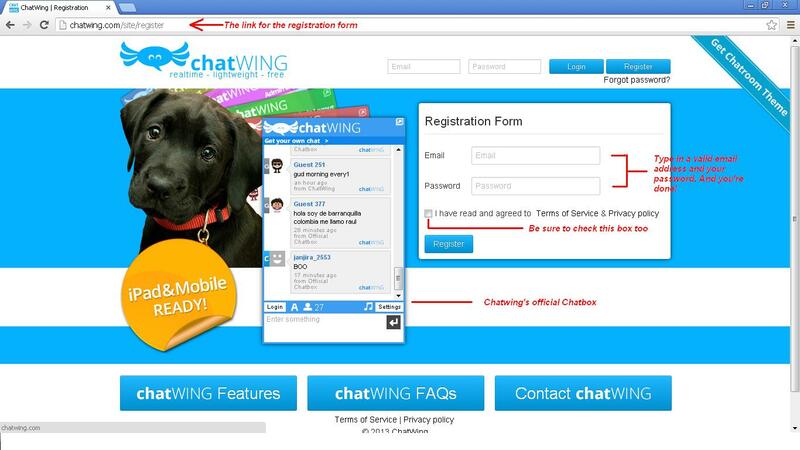 Simply fill up the registration form at Chatwing’s homepage to accomplish this task. It should only take less than a minute to do so since all you need is to type in a valid email and a password. When you’re done making your account, you’ll be automatically headed to the Dashboard. This is where you’ll make your chatrooms and where you can manage them. For now, you have one that has already been supplied to you. Choose that and press the Customize Chatbox button for the next step. 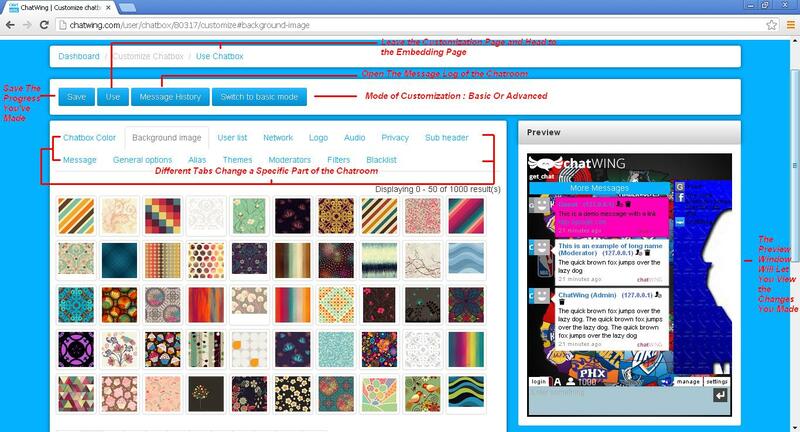 The Customization panel is where you’ll modify the chatrooms you’ve created. You can easily change a certain part of it since the process is divided into tabs for easier navigation. However, you have to make sure to save your progress every time you change your chatbox by pressing the Save button on every tab. This will make sure the changes will be implemented on it. When you’re done customizing, press the Use button on the upper part of the Customization panel. After the customization, you need to choose how you’re going to utilize your Chatwing chatbox. There are three choices, on each tab – Group Chat Url, Embedded Options and Popout Options. 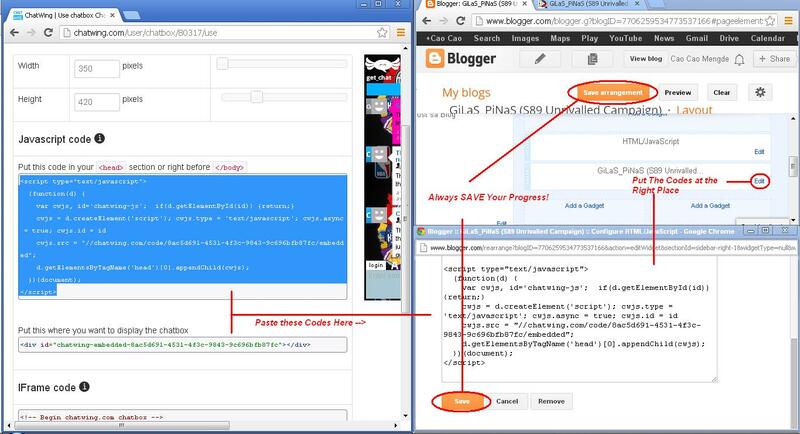 Choose the Embedded Options to proceed with the embedding process. In the Embedded Options tab you’ll see a preview of your chatbox to be embedded and two scroll bars you need to use to modify its size. You can use it if you want to make it bigger or smaller when it goes up on your site. Chatwing is great when it comes to handling a lot of people at once – it’s built definitely for that. And combined with its features, you can easily provide your viewers all the support they need or simply have a chat with them. 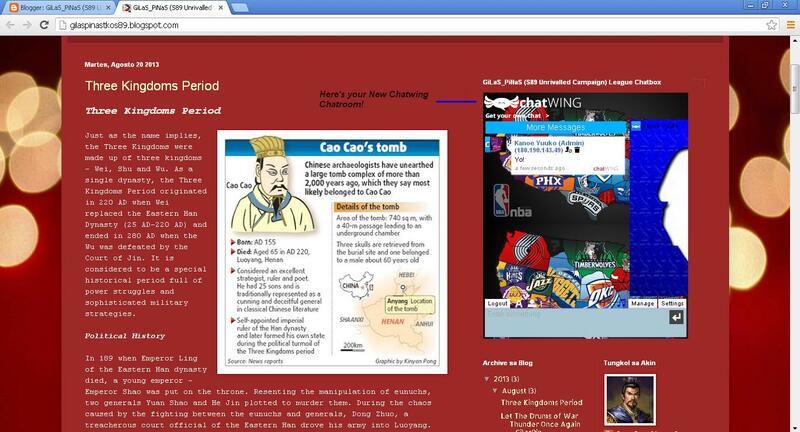 Lastly, this chatting tool can be used by everyone since it’s very affordable – it’s free. I read this piece of writing fully about the comparison of newest and earlier technologies, it’s awesome article.